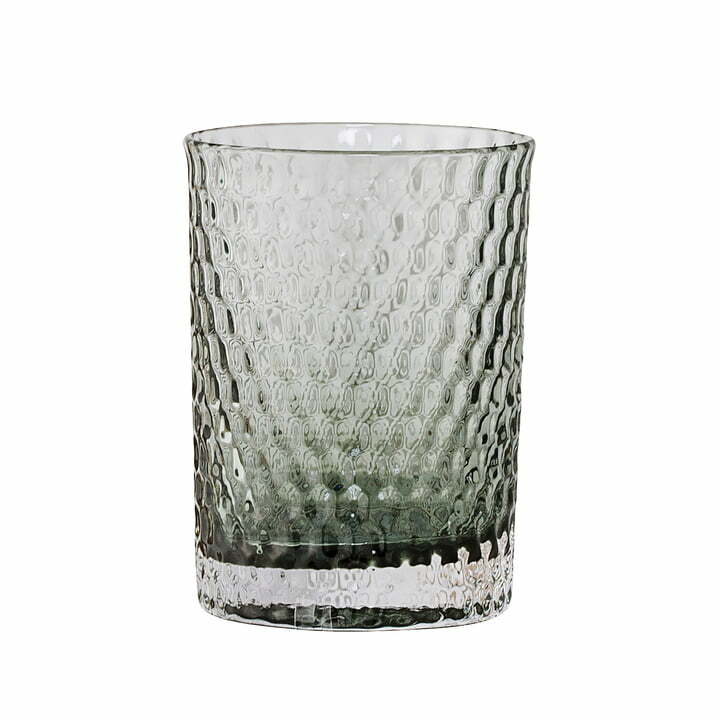 The decorative tumbler made of glass impresses with a noble honeycomb pattern, that also provides a pleasant texture. The grey gradient is a real eye-catching feature in the bathroom. The toothbrush holder out of glass is the ideal accessory for things that are left lying around in the bathroom. It look particularly great combined with other accessories from the bathroom collection, such as the soap dispenser. Outside of the bathroom, the tumbler can also serve as a candle or pen holder. Frontal image of the glass tumbler of Bloomingville. The decorative tumbler made of glass impresses with a noble honeycomb pattern, that also provides a pleasant texture.